The enhanced Qidenus Mastered Book Scanner powered by iGuana is a semi-automatic book scanner designed for high-quality, high-volume book scanning. It is a perfect choice for customers with serious workloads (such as service bureaus) looking for an affordable book scanner that effectively combines top quality with high performance. This highly reliable and efficient book scanner is unique on the market and is the most versatile model in the Qidenus portfolio. If you wish to see the Qidenus Mastered Book Scanner in action, you are welcome to request a demo and visit our showroom at iGuana HQ in Zaventem, Belgium. The new Qidenus Mastered Book Scanner offers unmatched scanning speed, quality and consistency. Qidenus Mastered Book Scanner can scan virtually any type of book up to 160 mm thick (including fragile originals). It comes in A1, A2, A2+ and A3+ sizes and can digitize up to 1.500 pages / hour. It is FADGI & Metamorfoze compliant and produces images of archival quality. The book scanner’s semi-automatic mode allows operators to scan at a fast, constant speed with minimal effort and switch to manual when processing fragile originals. 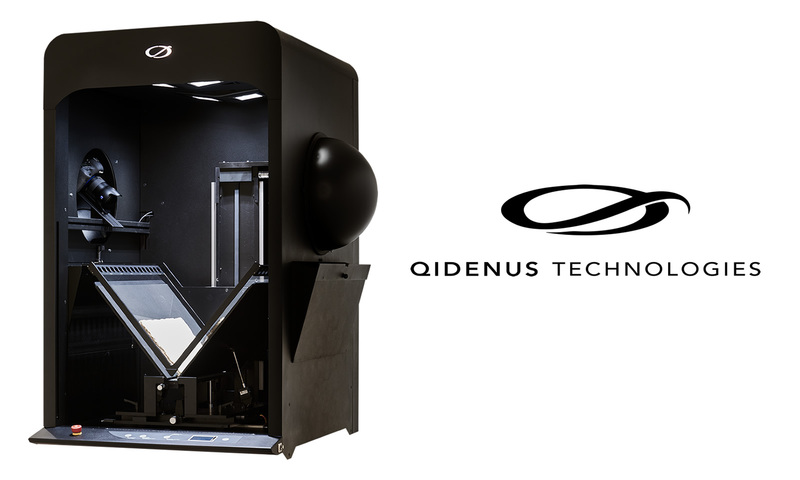 In addition, Qidenus Mastered Book Scanner features a V-shaped, self-centering book cradle, motorized glass plate, 2 uniquely positioned high-end cameras with latest CMOS sensors, and specially designed lighting system (no UV / IR) in compliance with museum standards. This book scanner is fast and highly performant, yet extremely easy to use and affordable. Glass plate with pressure control: pages are perfectly flattened during scanning & page curve is minimal or non-existent, hence no need to alter the original image with page curve correction software, etc. Request a demo & visit to our showroom in Zaventem, Belgium.